You play matchmaker without registering for Paird but upon registering you can recieve points for solid matches which reminds me of similar dating site ImInLikeWithYou.com. You can also lose points for matches that are denied by the suitor. 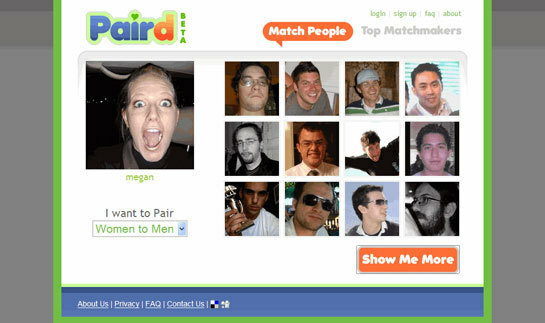 Though a fun little dating experiment, I don't know yet if Paird is sticky enough to bring me back time and time again.